Republicans are slow learners but -- in the wake of this week's GOP defeat in a special election in Upstate New York where Democrat Kathy Hochul defeated a Republican in a solidly GOP district -- they may finally discover that Medicare is really a deadly "Third Rail" that will electrocute anyone who touches it. "Former President Bill Clinton counsels Democrats not to say Medicare is fine the way it is. He's right. But instead of talking about Medicare as a problem to be fixed, Democrats should start talking about it as a potential solution to the challenge of rising health-care costs - as well as to our long-term budget problem. Can we be clear about that budget problem? It's not driven by Medicare. It's driven by the same relentlessly soaring health-care costs that are pushing premiums through the roof and causing middle-class families to shell out more and more money for deductibles and co-payments. Some features of Obama's new healthcare law will slow the rise - insurance exchanges, for example, could give consumers clearer comparative information about what they're getting for their insurance payments - but the law doesn't go nearly far enough. That's why Democrats should be proposing that anyone be allowed to sign up for Medicare. Medicare is cheaper than private insurance because its administrative costs are so much lower, and it has vast economies of scale. If Medicare were allowed to use its potential bargaining leverage over America's hospitals, doctors, drug companies, and medical providers, it could drive down costs even further." Exactly! I've repeatedly blogged about opening up Medicare, one of the most beloved of federal programs since it was inaugurated in 1965, as a public option to all who are willing to pay for it. This is called expanding the risk pool and it's what insurance is all about: The more people in the risk pool, people of all ages, the better off the insurer and the people who are insured. Before I became a journalist in January 1966, I worked for almost four years as an insurance claims adjuster for a major insurance company, so I can claim some expertise in the matter. Canada's Medicare works because the government uses its clout to negotiate lower prices on, for instance, prescription drugs. Generic Plavix (clopidogrel) sells online for $68 (U.S.) for 200 75 mg pills in a pharmacy in a Vancouver, BC suburb. I couldn't find 200 pills at Walgreen's online site, but the big chain sells 180 75mg generic Plavix pills for $136.75 -- twice what we Yanks pay for 20 fewer pills from the British Columbia pharmacy. 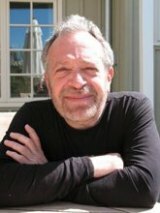 Reich, Chancellor's Professor of Public Policy at the University of California at Berkeley, says "Let the GOP go after Medicare. That will do more to elect Democrats in 2012 than anything else. But it would be wise and politically astute for Democrats to go beyond just defending Medicare. Strengthen and build upon it. Use it to reform American health care and, not incidentally, rescue the federal budget." Good advice from a guy who knows what he's talking about and who was one of Clinton's best cabinet members, if not the best. I'm a libertarian on many policy issues, but I pick and choose ideas from the best available. I call it "Cafeteria Libertarianism." I also call it common sense, which isn't all that common, come to think of it.